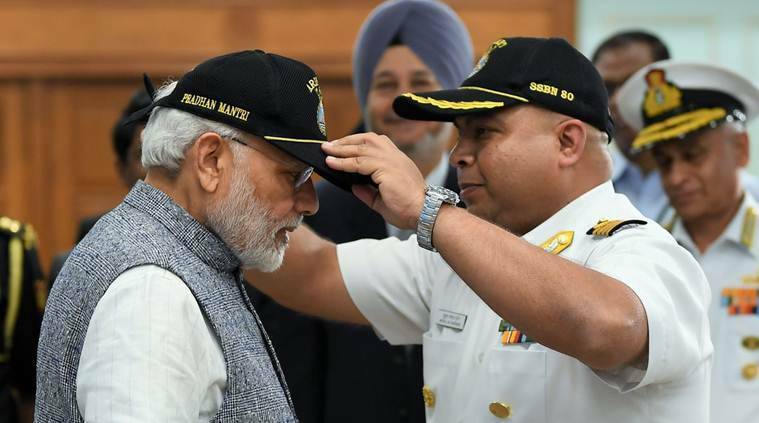 “True to its name, INS Arihant will protect the 130 crore Indians from external threats and contribute to the atmosphere of peace in the region,” Modi said. INS Arihant or “destroyer of enemies” was launched in July 2009 at Ship Building Centre, Visakhapatnam in presence of former Prime Minister Manmohan Singh. India is the only country apart from Russia, China, France, UK, US to develop and operate a nuclear submarine. Unlike conventional diesel electric submarines, which have to surface to recharge their batteries, nuclear submarines can remain under water for longer duration, thus boosting its stealth capabilities. The ballistic missile submarine comes under the control of Nuclear Command Authority headed by the Prime Minister.